Performance Marketers Manage Outbrain, Taboola, Yahoo Gemini and Revcontent in one place. Scale native advertising. Expand your audience. Hit your CPA. Create A/B tests. Quickly edit. Re-use everywhere. A/B test creative variations for each piece of content across campaigns and networks. Use your best creatives over and over. One login. One interface. All your accounts. Agencies love us. Connect multiple accounts to manage multiple brands, websites and companies. Eliminate shared passwords. 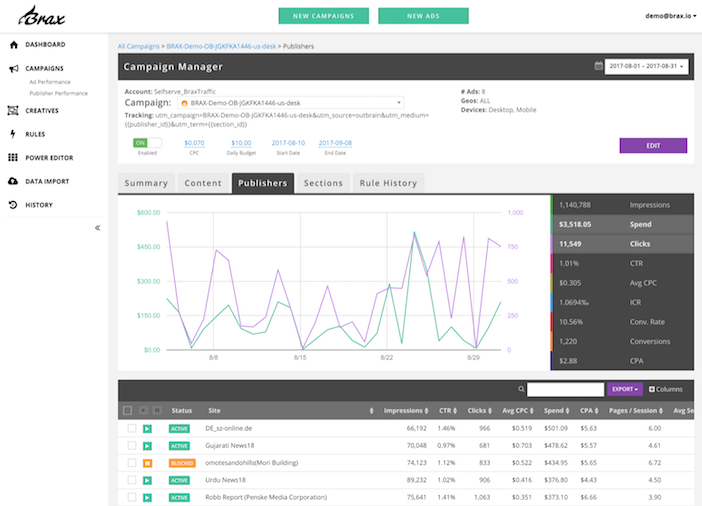 Integrations include Outbrain, Taboola, Yahoo, Revcontent, Content.ad and Google Analytics. Add users. Control access. View history. Manage multiple people with permissions to limit access and view activity. Remove access without changing passwords. See who did what and when. Audit the good, bad and ugly. Budgets. Bids. Block lists. And more. Imagine updating all campaigns at once. Brax Native Power Editor gives you the control to change every aspect of campaigns in a familiar spreadsheet style editor for speedy optimization. Launch new content faster. Set limits. Define changes. Improve performance. Trigger optimization actions using performance. Pause ads with low engagement. Reward good placements, exclude the bad. 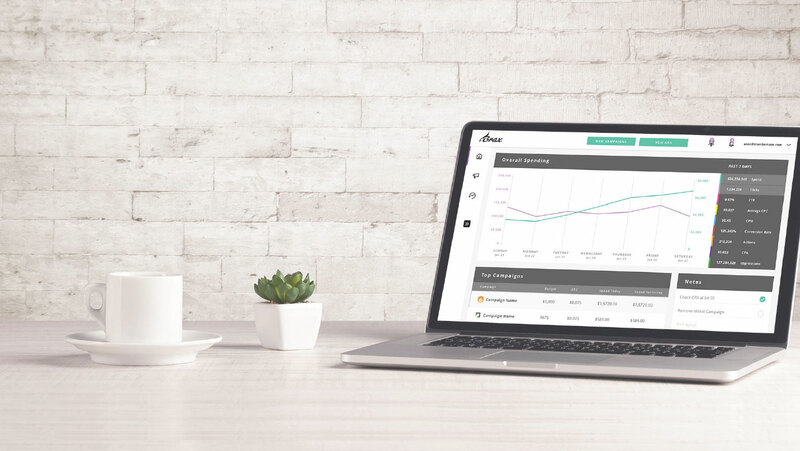 Adjust around any KPI from time on site to cost per action. Lower your risk of fraud, overspend and missed goals. Say goodbye to dirty data from human error resulting in wasted media spend. Define your tracking tags once for accurate, consistent data. Use macros to dynamically insert campaign name, ad id and publisher id. Import sales data. Attribute to campaigns. Content. Publishers. Import data from existing systems to streamline analysis & optimization. 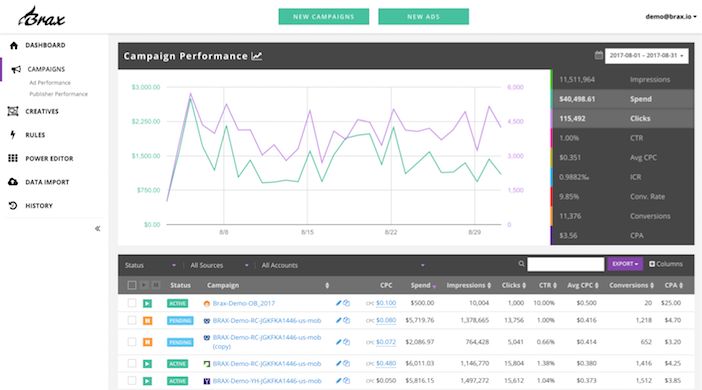 And connect Google Analytics to see performance across campaigns, content and publishers for instant answers. No mark up. Clear pricing. No hidden fees. spend. Goodbye 15% management fees.